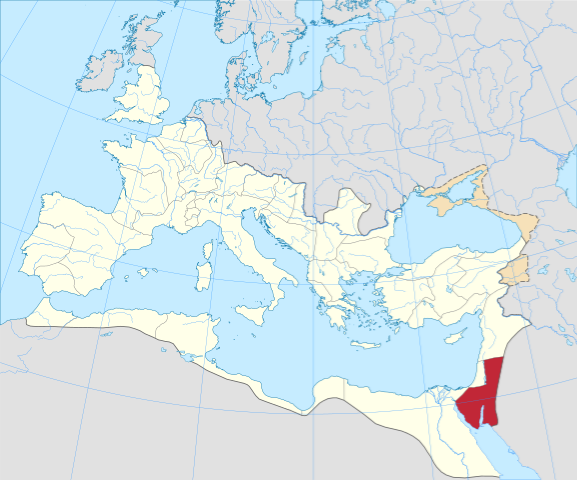 Arabia Petraea was a frontier province of the Roman Empire beginning in the 2nd century. Its capital was Petra. It consisted of the former Nabataean Kingdom in Jordan, southern Levant, the Sinai Peninsula and northwestern Arabian Peninsula. Most of Arabia was sparsely populated, and its cities can be found concentrated to the north, toward the Jordan. Petra served as the base for Legio III Cyrenaica.